Our milk is fresh from the cow! Not pasteurized or homogenized, it goes straight from udder to bucket to filtered cooling tank. New customer? Call us at (814) 282-1569 if you have questions, don't be shy...we know raw milk isn't the norm! Our permit only allows us to sell milk here at the farm, and we will fill your jars right from the bulk tank. We find that glass jars are the most sanitary, but we can fill whatever container you bring, from quart to multi-gallon. Many customers use the half-gallon, wide mouth Mason jars available at hardware stores in the canning section. We do have a limited quantity of plastic 1 gallon jugs ($1.00/ea). 86 Acres milk has a high cream content because our herd is mostly of Jersey descent (the breed, not the state!) Customers also report that our milk is sweeter than average...though we'll let you be the judge of that. Because our milk is not homogenized, the cream will separate out after a few hours. Skim off the top, or simply shake and sip. Though it varies, the cream line averages about 1 quart per gallon. Why Raw Milk? And What Is It, Exactly? "Raw milk" refers to milk that has not been pasteurized, meaning it has not been heated to high temperatures to destroy pathogens. 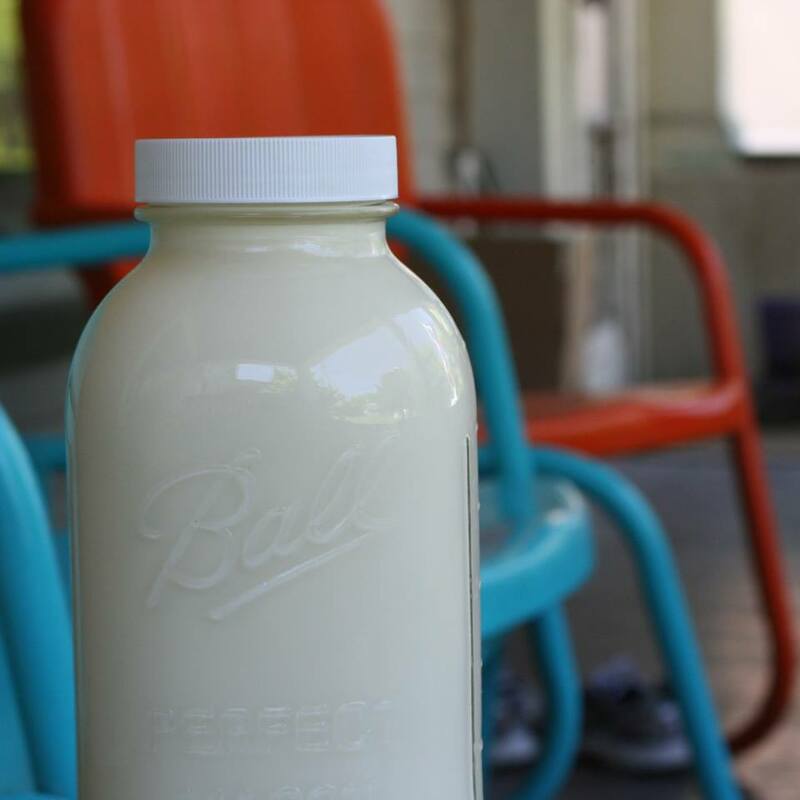 When collected and dispensed under sanitary conditions, we believe raw milk is safe to drink and is far more nutritious than pasteurized milk. * Raw milk contains beneficial bacteria and enzymes that are destroyed by the pasteurization process. *These statements have not been approved by the FDA, the CDC, or the PA Department of Agriculture. Our milk is tested regularly in compliance with the PA Department of Agriculture standards to maintain our raw milk permit. We participate in all required inspections for safety, and pride ourselves on running an extremely clean milking operation. Our milk has even been used for koshering!